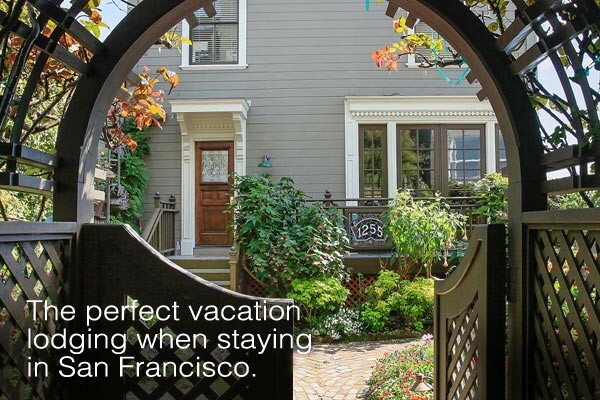 Annie’s Cottage offers charming accommodations within walking distance of Fisherman’s Wharf, Union Square, China Town, North Beach and other San Francisco favorites. 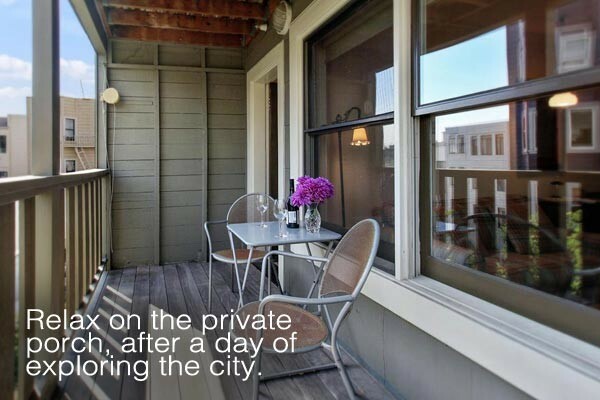 Our unique San Francisco lodging on Russian Hill is convenient to many neighborhood restaurants offering a wide array of cuisine. There are also many interesting shops and boutiques nearby. 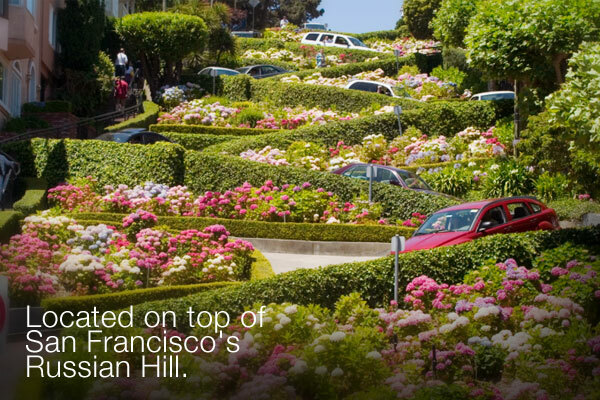 The historic San Francisco cable car system is only a short 1/2 block away. 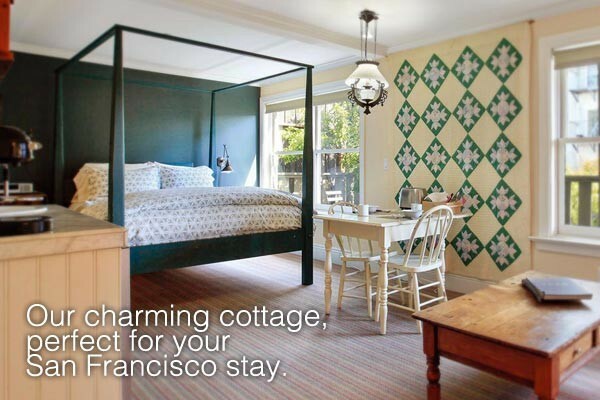 We have one guest room located on the lower level of the 1907 cottage which is tucked away behind another building on San Francisco’s Russian Hill. 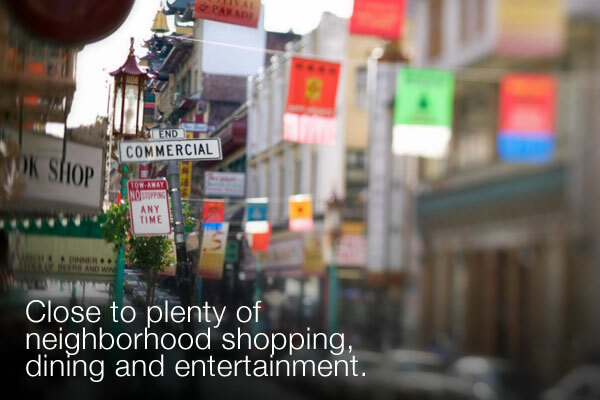 Great markets and delis are near our San Francisco accommodation, providing a wide variety of breakfast foods and treats. Possession of a San Francisco Short-Term Rental Registration Certificate certifies that the registration certificate holder has agreed to comply with the term of the San Francisco Short-Term Residential Rental Ordinance (San Francisco Administrative Code Section 41A). This ordinance does not require an inspection of the unit by the City for potential Building, Housing, Fire, and other Code violations. 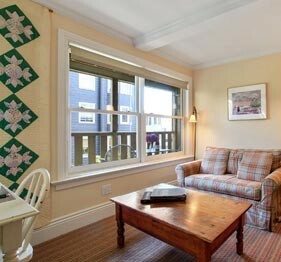 We have one guest room located on the lower level of the 1907 cottage on San Francisco's Russian Hill.